Youve Been Reviewed: How to make the perfect burger! How to make the perfect burger! 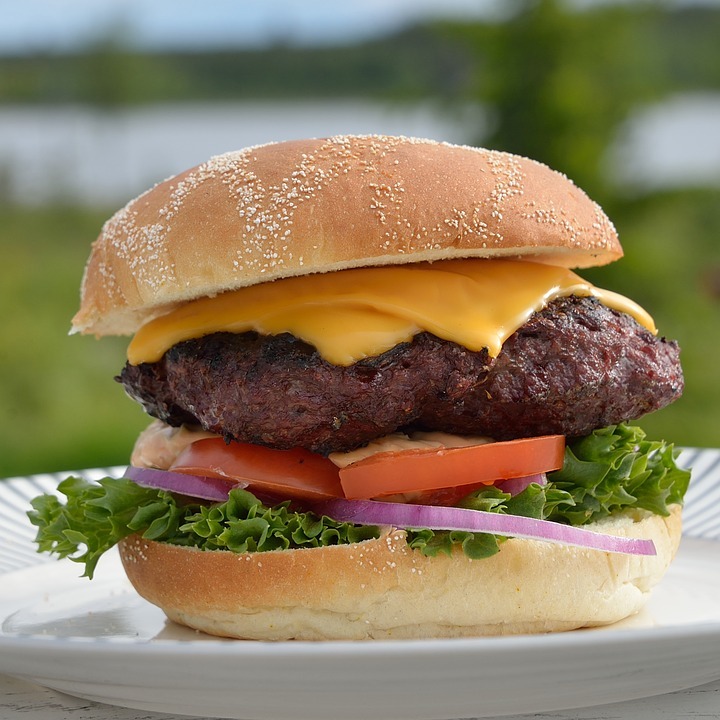 Get out the grill, clean it off and start cooking…it’s that time of the year and I would like to share some burger secrets with you! Anyone can make a run of the mill burger. Slap a hunk of ground 'who knows what' into a patty and toss it on the grill right? Wrong. It is the 'who knows what' part that is scary, and there is more to it than just tossing it on the grill. Here is how to make the perfect burger. Buy ground beef that has no more than 15-20% fat. You want ground beef with a little fat content, but you don't want to buy ground beef that looks white, that is basically all fat. Put the ground beef into a large bowl. This is where you can add chopped onion, chopped bell pepper, teriyaki sauce, seasonings and whatever else you like. Get a good size handful of ground meat (about 1/4 to 1/3 of a pound) and form it into a ball. Don't overwork the meat or you will get a tough burger. Now take that ball of ground beef, lay it on a piece of waxed paper. Use your finger tips to flatten out the burger to an even thickness. You aren't finished yet. In order to eliminate the hump in the middle of the cooked burger, you have to flatten out the middle of the burger to where it is lower than the edges of the burger by about 1/3 of an inch. Following that method, the burger will be flat after it is cooked. Now you have a tray full of burgers and you can cook them in a frying pan, or in your oven's broiler. But, the best way to cook a burger is on the grill. Get your grill up to temperature, about 350 degrees, put those bad boys on the grate and let them cook for about 5 minutes. Turn them and let them go another 5 minutes. Since it is advised that we should only eat well done ground beef, you will need a thermometer to check for internal temperature, which should be 160 degrees. Don't smash your burgers down with a spatula; you don't want to lose the flavorful juices. If they aren't up to 160 degrees yet, keep cooking and checking them. That's it for the burger, now we will talk buns. I don't like the wimpy burger buns that most people use. I prefer the larger buns so that the bread is sufficient size for my over-sized burgers. Toast your buns right on the grill for a minute (check them!) and they won't get soggy when you load them up with ketchup, cheese, lettuce, tomato and pickles. Or you can just eat a burger with ol'ketchup, which is how I prefer them. You may not believe this, but all of a sudden I’m craving a burger....think I'll go light up the grill!